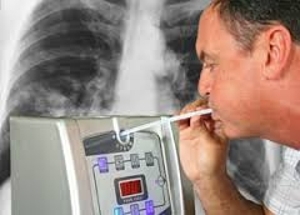 Breath analysis has attracted a considerable amount of scientific and clinical interest during the last decade. In contrast to NO, which is predominantly generated in the bronchial system, volatile organic compounds are mainly blood borne and therefore enable monitoring of different processes in the body. Exhaled ethane and pentane concentrations were elevated in inflammatory diseases.